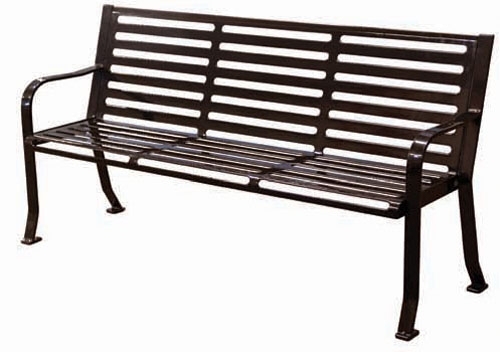 [XPB-HSBX] Our Horizontal Slatted Bench is fabricated of 11 gauge steel construction. This bench features a unique, high-tech look for sophisticated seating solution. With a thermoplastic finish, available in 16 different selections and comes with pre-drilled mounting holes. For shipping quotes, discount pricing, orders or questions please call our Customer Service Center at 1-877-483-9270.